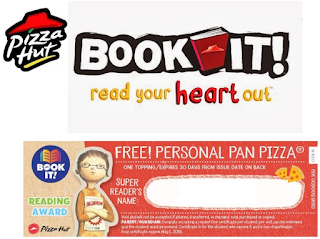 Pizza Hut Book It Program for grades K-6, Kids ages 5-12. It is a program to encourage reading. They send you a whole bunch of material and also a booklet of Free Pizza Coupons to give out as well. Teachers as well has Homeschoolers can sign up.